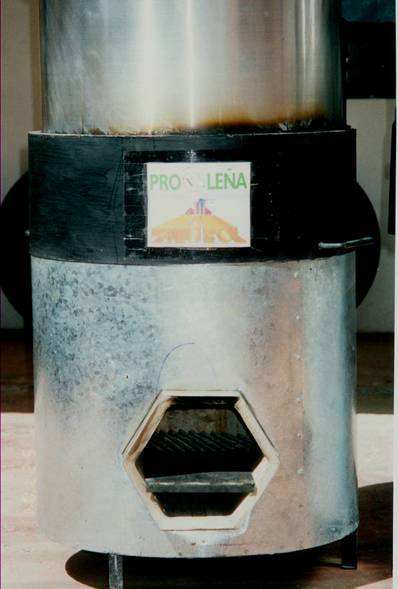 ProLeña - Bolivia has made an improved stove as shown in the picture. It was designed with the requirements for cooking daily meals of 80 boarding-school students of the Centro Educativo Técnico Humanístico Avanzado (CETHA) in the rural community of Titicachi located in northern La Paz. 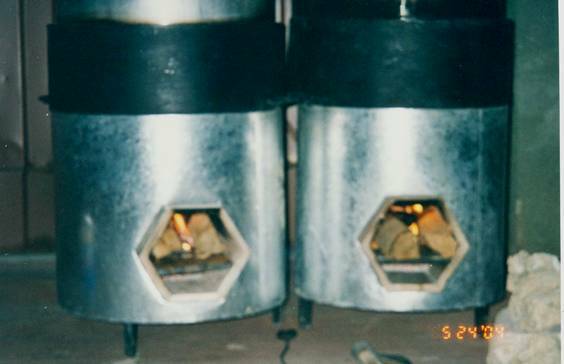 The prototype is a 26 KW – powered wood stove, 33% efficient and with a capacity for 170 Lt. which was designed with the same parameters as the "rocket stove" and made by ProLeña - Bolivia with the help of SICOBOL and Energética. The first tests on the field have shown that this stove can save up to 76% of firewood formerly used, lower to half the time spent by the woman in charge of preparing the meals and cut loose from all the smoke inside the kitchen. 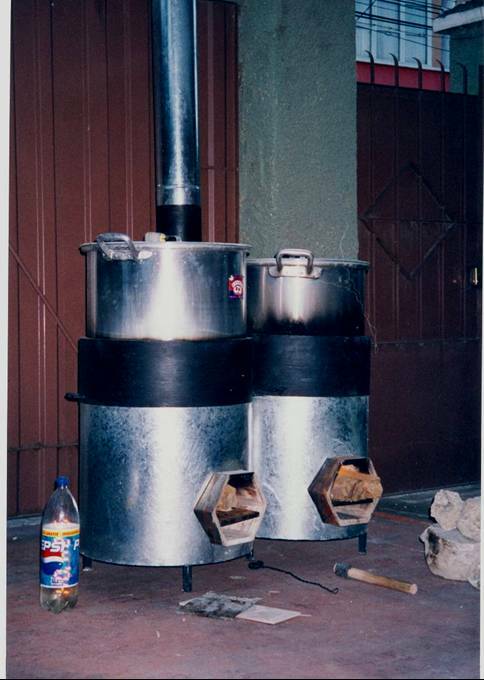 As a matter of fact, the teacher in charge of this school for adults, located in the andean valleys of La Paz (13800 feet or 4200 m above sea level) reported than the traditional stove started burning each day at 4:00 a.m. only to finish the daily task by noon. The annual consumption of firewood by the school was close to 11 tons which were burned up during 120 days of two shifts each. construida por ProLeña – Bolivia con apoyo de la Empresa SICOBOL y ENERGÉTICA. ambiente de la cocina, a través de la chimenea que posee. 11 Ton en 120 días de funcionamiento a dos turnos. sistemas fotovoltaicos domésticos y cocinas eficientes.